The Saint Rocke beach concerts were always a great time [“Soapbox,” ER Oct. 4, 2018]. Some of our favorite summer memories! Super professional staff, and the bands they brought to Hermosa were never a disappointment. You could tell they gave it their all — just to get b**ch slapped back by Hermosa Beach City Council. So sad to see them go. I just read the “Big Dig,” about the proposed beachfront Strand and Pier hotel in Hermosa Beach, and the problems of building underground parking so close to the ocean [“Big Dig,” ER Oct. 11, 2018]. Seems like I read about that in a previous hotel project in Redondo Beach, in the Easy Reader back in December 2015. So my question is, who is going to bail out the Strand and Pier, regarding parking? Sorry to see this [“Big Dig,” ER Oct. 11, 2018]. What about earthquakes and potential liquefaction? Bring back the Mermaid [“Big Dig,” ER Oct. 11, 2018]. Keith Morris telling the Manhattan Beach Concerts in the Park promoters Black Flag was a light jazz group specializing in Fleetwood Mac covers, ha ha ha. Pure brilliance. I wish I would have been there to see the faces of people in the crowd actually expecting that [“Spot On: Exhibit of photos of South Bay from ‘70s and ‘80s highlights others side of legendary SST Records producer,” ER Sept. 27, 2018]. I am an actual veteran (USS James K. Polk, SSBN 645, USN), unlike most of the complainers, and I don’t necessarily agree or disagree with Robert Rosenfeld’s position [“Hermosa commissioner’s pledge skip prompts dispute on liberties, patriotism,” ER Sept. 20, 2018]. The people that have drummed up this faux controversy and are attacking Rosenfeld should be ashamed of themselves. He is one of the good guys in local government: always fair, always thoughtful and always listening. I am heavily involved in local issues and Rosenfeld has donated hundreds if not thousands of hours to support the community he clearly loves. In this day and age of the importance of community art, it is inconceivable that proper prior planning was not afforded to the removal of the mermaid mural at the Neptunian clubhouse [“Neptunian Woman’s Club Destroys Mural,” ER Sept. 27, 2018]. Have you ever tried to remove title from a wall before? Of course the result is breakage and cracking of the tiles. Tiles are usually affixed with cement or glue products! It seems to me that the mermaid mural should have been cut with a concrete saw, and framed out for removal and preservation to later be displayed as an internal decoration. I’m no construction contractor but it just seems to me that it would be a difficult removal and a better effort should have been used to preserve such a great piece of art. What a shame that a beautiful mural that has been in the community for over a decade was destroyed in one fell swoop. I will personally miss it while strolling past the Neptunian Woman’s Club on my way downtown. My apologies to the artist Dawn Whitney-Hall. Once again the Henny Pennys are running amok with their ‘sky is falling’ rhetoric. The broken contracts, have proven far more expensive to Redondo Beach taxpayers than any development. It is Rob Gaddis, whose R4 committee was fined thousands of dollars by the Fair Political Practices Commission, who fails to do his homework and who is the simple-minded, shallow thinker – not Councilmember Laura Emdee. Obviously, homework is not Gaddis’ thing. If it were, he would know that the Fun Factory and Quality Seafood Restaurant are on one lease – $9 million – necessary to replace the deteriorating parking garage; CenterCal project or not. That was the purpose. 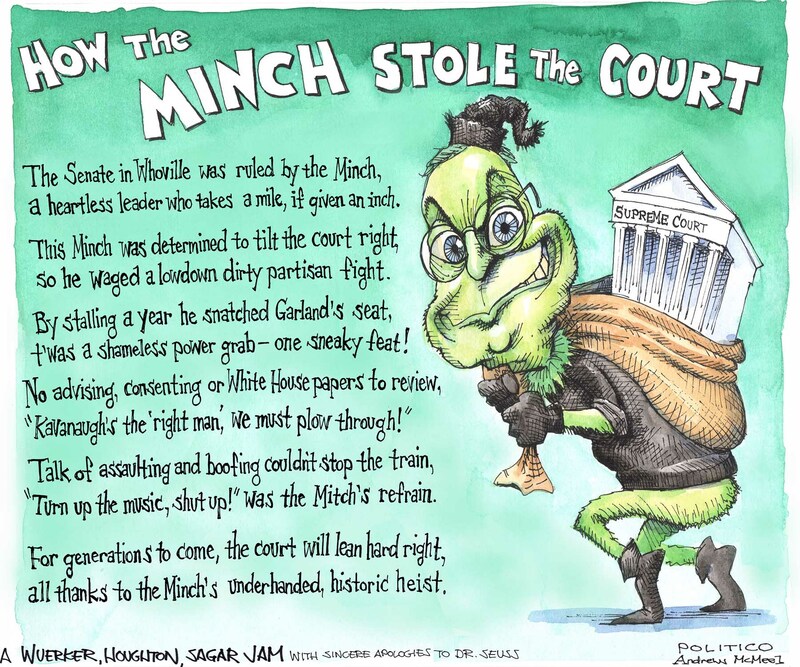 Gaddis says “$5 million cash…in legal expenses.” Where does that number come from? Councilmembers Loewenstein and Nehrenheim voted against aligning Redondo’s elections with state elections, and criticized Emdee for wanting to save money by doing so. Taxpayers will pay for that off-cycle privilege to the tune of at least $250,000 per election. Also, Nehrenheim destructive night out at Hennessey’s Tavern could end up costing the City. No doubt the sky will fall metaphorically if Redondo continues to allow our precious economic assets to deteriorate and if voters continue to support candidates that play to win at all costs regardless of the costs to taxpayers. The mayor and his foxes are guarding the henhouse, and these chickens will come home to roost. No way. I cannot believe they destroyed it and didn’t tell the artist [“Neptunian Woman’s Club destroys mural,” ER Sept. 27, 2018]. We all know a lot of people who would have gladly come up with the money to save it. Her work is impeccable and this piece was stunning. Funny how Lawndale puts pressure on the developer to invest in community infrastructure to balance the impacts, but Redondo just rolls over… [Lawndale settles for $2 million, pulls Galleria appeal,” ER Oct. 4, 2018]. Being a newly minted US citizen, I am continually aware of the many freedoms afforded to me in my adoptive country. Perhaps none of them is more important, and relevant, in these tumultuous times, as the right to vote in a free election. That is why I am choosing my first vote in this country very carefully; studying all the issues and learning as much as I can about the candidates for each office. And that is also why, after much careful consideration, I am casting my vote proudly for Andrea N. Giancoli for the position of Board Member of Beach Cities Health District. She has both the educational and public health background as well as experience in public service via her role as a Public Works Commissioner, and as much empathy and compassion for those less fortunate individuals than anyone I know. I will be proudly casting my first vote in this country for Andrea N. Giancoli for Board Member of the Beach Cities Health District. I will be voting for Andrea Giancoli for the Beach Cities Health District Board of Directors on Tuesday, Nov. 6, 2018. Andrea has a graduate degree in public health, is a registered dietitian, and also serves on the Hermosa Beach Public Works Commission. Andrea also serves as a representative on the Access Hermosa working group, which is dedicated to improving access and mobility in Hermosa Beach. During my time as a representative on Access Hermosa, I have had the opportunity to see Andrea Giancoli work tirelessly in order to make Hermosa Beach more accessible for all it residents. Andrea is highly qualified to serve Manhattan Beach, Hermosa Beach and Redondo Beach on the BCHD Board of Directors. Please join me in voting for Andrea Giancoli to the Beach Cities Health District Board of Directors on Tuesday, Nov. 6, 2018.